The Matildas will return to Penrith later this year to take on Chile at Panthers Stadium. Penrith Mayor John Thain said the announcement is a major coup for the city and has again proven Penrith is the home of world class events in western Sydney. “By securing the Westfield Matildas vs Chile match, Council has delivered on its commitment to providing headline events for locals to enjoy in their own backyard and cemented Penrith’s reputation as the home of major events and sporting action in western Sydney,” Cr Thain said. Westfield Matildas Head Coach Alen Stajcic will be using this match, as well as another clash between Australia and Chile in Newcastle, as part of his team’s preparation for the FIFA Women’s World Cup which will be held in June next year in France. “Chile are an emerging nation in international women’s football and have qualified for next year’s FIFA Women’s World cup for the first time in their history,” said Stajcic. “They (Chile) had a fantastic Copa America this year and have showed a great level of technical proficiency, as we would expect from a proud South American footballing nation. 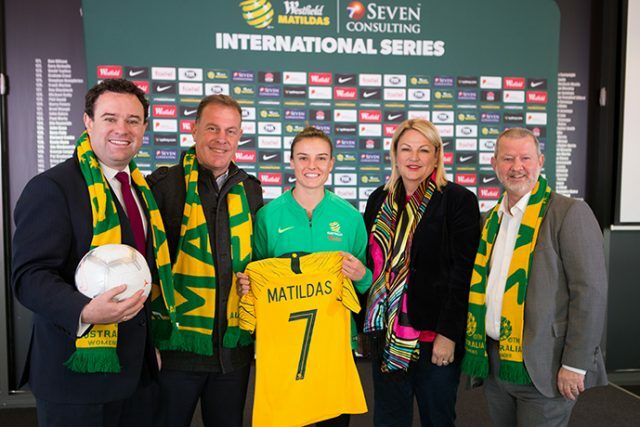 Penrith MP and NSW Sports Minister Stuart Ayres was also excited at the news that the Matildas would return to Penrith. The game in Penrith will be played on November 10. Tickets for the Westfield Matildas vs Chile are now available at matildas.footballaustralia.com.au/tickets.